Hollywood superstar Angelina Jolie visited a Rohingya refugee camp in Bangladesh yesterday ahead of a new UN appeal for nearly one billion dollars to look after the refugee influx. 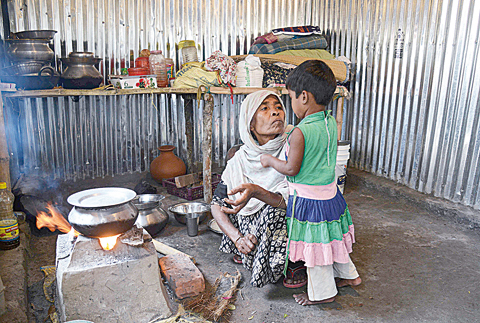 After arriving in the South Asian nation, Jolie, a special envoy of the UN Refugee agency UNHCR, went straight to a camp in Teknaf near the Myanmar border to talk to some of the 720,000 Muslims who fled a military clampdown in the neighboring state in August 2017. 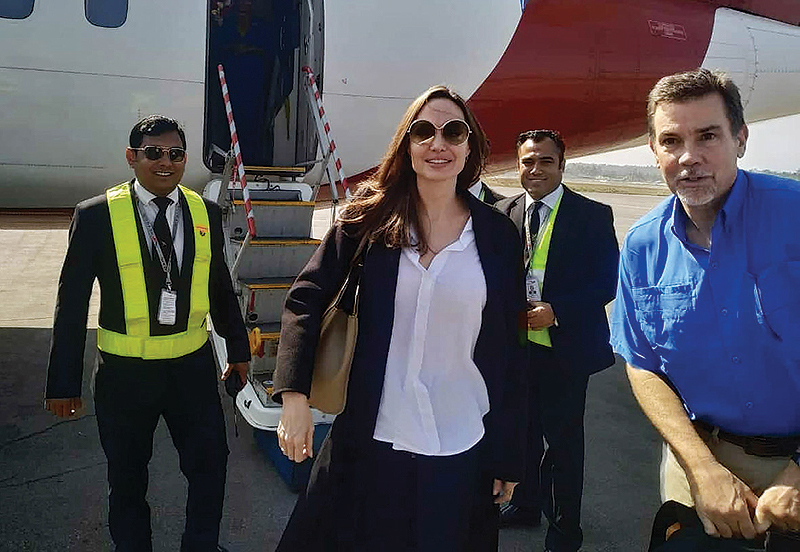 The 43-year-old made no immediate public comment, but Cox’s Bazar district deputy police chief Ikbal Hossain told AFP that Jolie will be visiting more camps on Tuesday. Jolie is in Bangladesh to assess the humanitarian needs of the one million Rohingya in camps around the town of Cox’s Bazar. She has previously met with displaced Rohingya while in Myanmar in July 2015 and in India in 2006. Bangladesh has been reeling since more than 730,000 Rohingya arrived from Myanmar after August 2017. More than 620,000 of the Muslims live in the Kutupalong camp, the world’s largest refugee settlement. 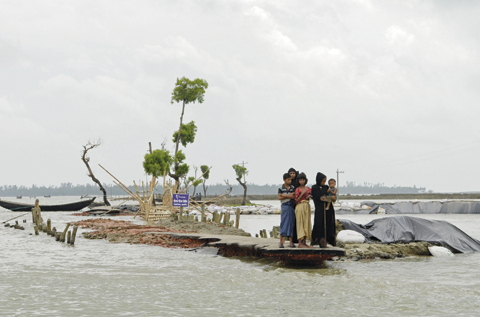 There were already about 300,000 in the camps before the exodus which has strained Bangladesh’s resources to the limit.